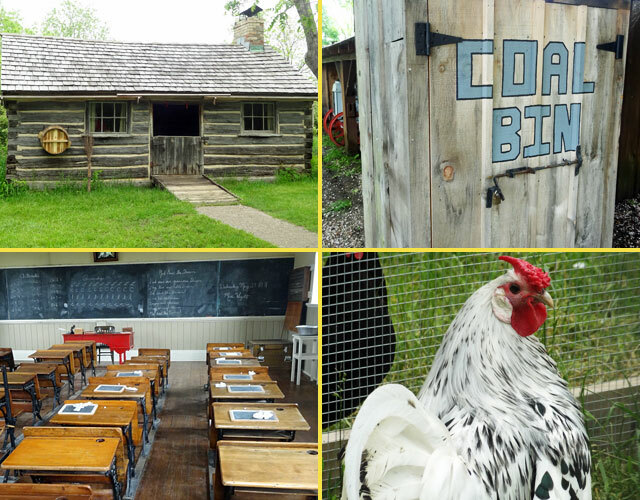 Every city has an art museum, but how many have a pioneer village that recreates life from the 1800s? And a family-owned department store with an old-timey gate elevator and an assistant to operate it? And a house from 1834 preserved in its original state? And a museum dedicated to the founder of insulin? 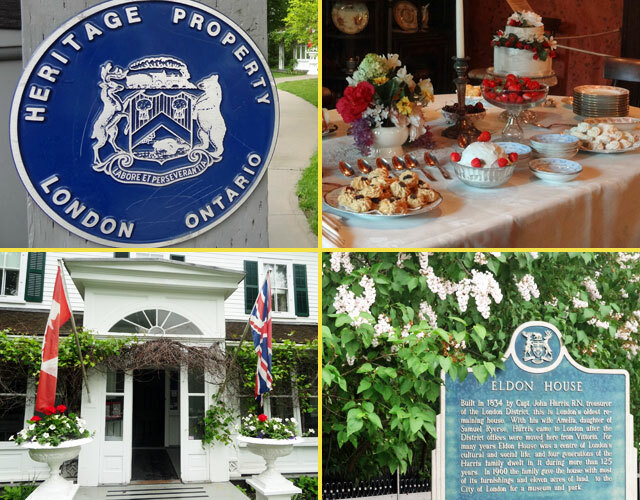 When it comes to unusual and interesting attractions, London, Ontario has no shortage of options. 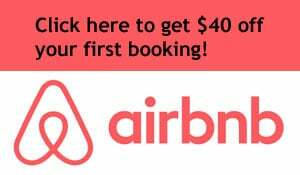 During a recent trip to Canada, I spent a couple of days checking out the city with a few other bloggers as a guest of London Tourism. Though a scheduled hot air balloon ride got rained out (sad face), the history and charm of the town made the visit a memorable one. Here are some of the highlights. Built in 1834, Eldon House is the oldest remaining residence in London. What’s special about this place is that the property has been preserved. Stepping inside transports you back more than 100 years into the lives of an affluent family. John and Amelia Harris and their descendants owned the home from the time it was built until 1960, when they donated the site to the city. The house has changed little over the past century. A guide in era-appropriate garb led us around the property and told stories about how some of the more unusual items made their way here. The family had interesting taste. 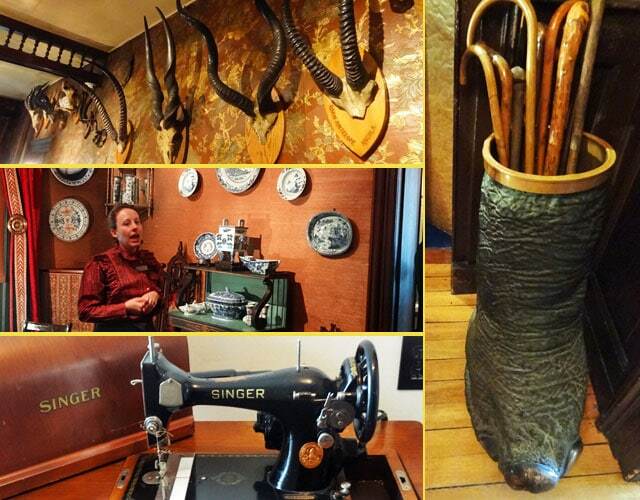 In addition to the fancy china and furniture, the house featured animal horns all over the walls and actual elephant feet used as umbrella holders. Besides its usual guided tours, the Eldon House offers afternoon tea sittings during the summer in its tranquil garden area. The Royal Canadian Regiment is a special regiment of the Canadian Army. They’ve participated in major conflicts around the world, all of which are documented at the RCR Museum. The museum is currently being revamped with new exhibits. 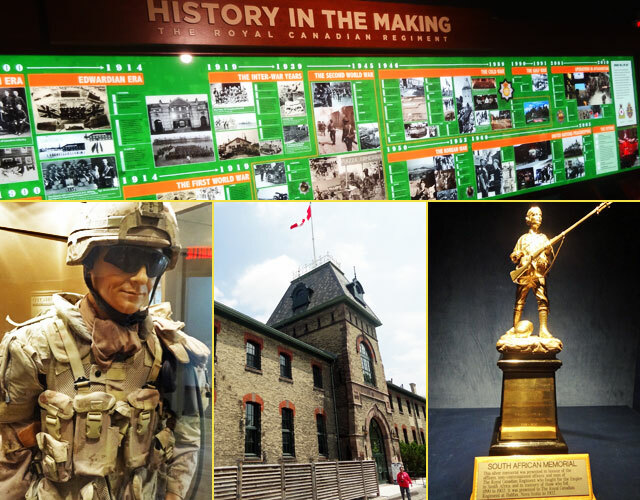 The most impressive displays included gas masks from World War II, a display case of medals issued to soldiers over the years, and a visual timeline of the conflicts in which the regiment has participated. 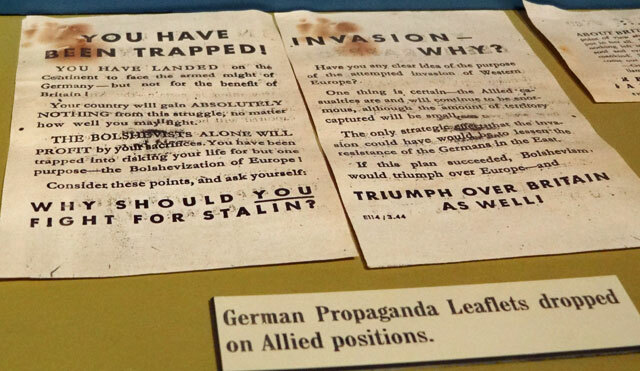 One of the most captivating exhibits featured propaganda leaflets the Nazis dropped on Allied forces during World War II. “Your country will gain ABSOLUTELY NOTHING from this struggle, no matter how well you may fight,” read the helpful document. I’m guessing not many Canadian soldiers were convinced. The London Children’s Museum was a pretty typical children’s museum. 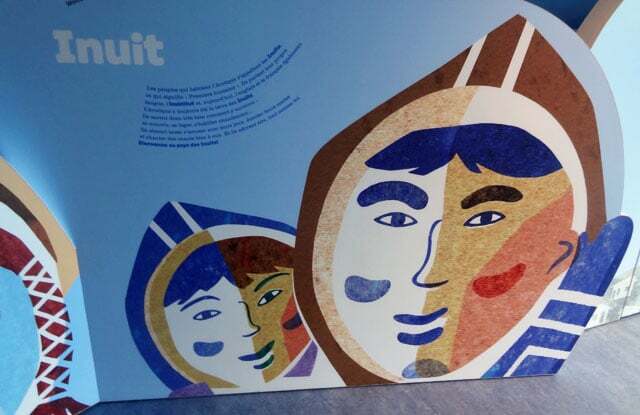 One exhibit that stood out was My Arctic Discovery, a multimedia presentation that educated kids on the indigenous peoples of the arctic lands of Canada, including the Inuit, Igaluk and Tuktu. There was also a playroom that included a fake McDonald’s establishment. 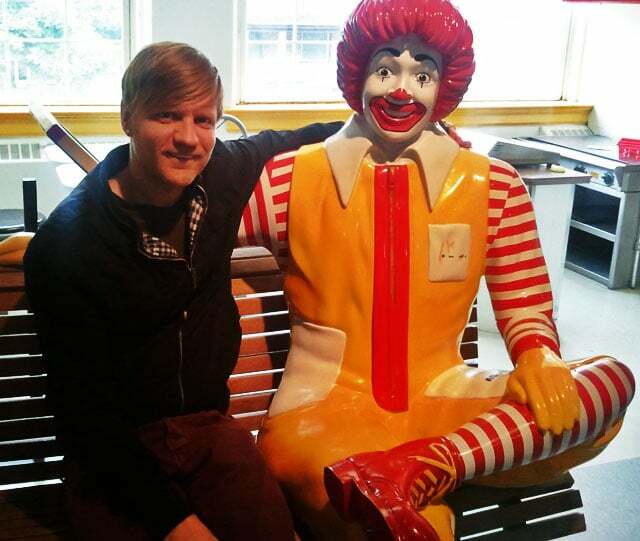 The fast food indoctrination was unfortunate, but at least it offered the opportunity to pose with everyone’s favorite scary-looking, french fry-munching clown. Banting House is literally the birthplace of insulin. 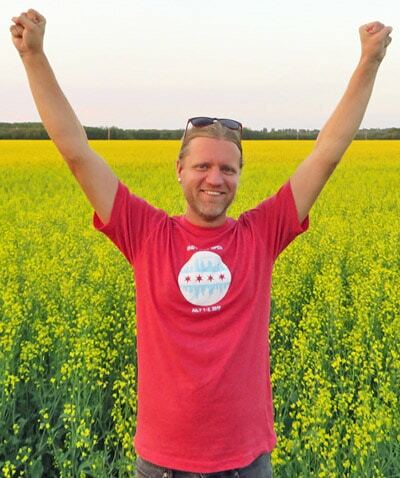 It’s where Sir Frederick Banting came up with the idea for the hormone, which has saved millions of lives since 1920. The house has been turned into a museum which houses exhibits that document Banting’s medical work, information about his lesser-known military career, and even some of the paintings he created in his spare time. Diabetes sufferers come from around the world to sit on the bed where Banting came up with the idea for insulin. There still is no cure for diabetes, but Banting’s insulin discovery has allowed patients to live relatively normal lives with the condition. 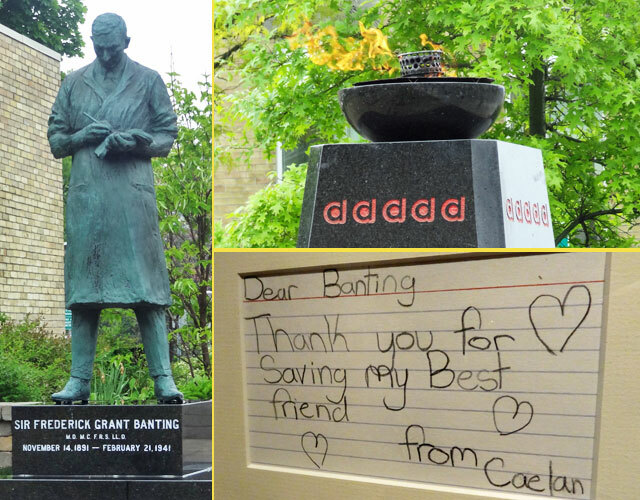 A “Flame of Hope” outside Banting House will continue to burn until an actual cure is found. Perhaps the most touching part of the house was the room featuring note cards from visitors, many of them kids, who thanked the late doctor for his discovery. John Labatt was born in Ireland in and moved to Canada in 1834 to farm. He eventually took over a brewery and turned it into one of the country’s largest. The Labatt Brewery tour took us behind the scenes to see how the beer was brewed, fermented, and packaged. After that came the best part – a sampling of Labatt Blue, Stella Artois, Alexander Keith’s, and other varieties made at the plant. Brewery tours must be booked in advance. 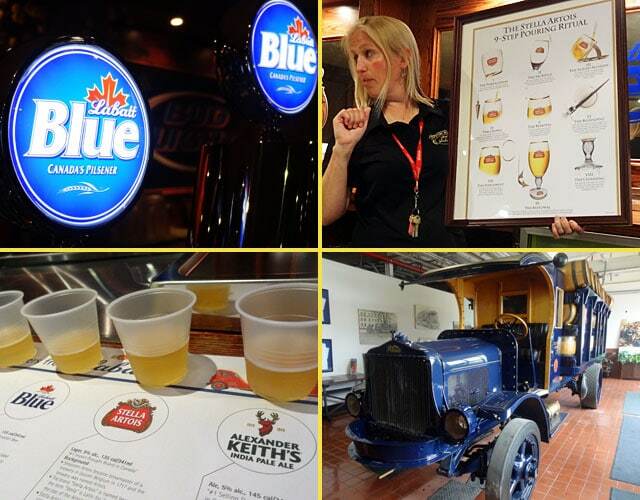 Labatt does not permit photos during the tour of the facility itself, but pics are fine in the tasting and memorabilia rooms, as well as in the room housing two vintage vehicles: a huge 1947 Steamliner and a 1919 flatbed truck that can carry dozens of kegs in its rear cargo hold. The Pioneer Village aims to recreate life from the 19th century. As we walked around the grounds, it was clear that everything was designed to look like it came from the 1800s, from the outhouses to the coal bins to the farm animals. In addition to typical houses of the era, the village had a printmaking shop, a school, and even an old-time imitation Labatt Brewery. The Pioneer Village was a fun trek back in time. What makes a department store interesting? For one thing, Kingsmill’s has been owned by the same family since 1865. 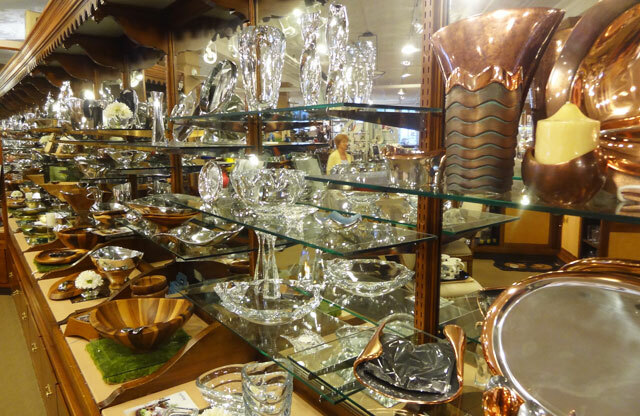 For another, it’s a thriving downtown business that keeps regularly expanding its space in an era when many old local stores are struggling and closing down. And best of all, Kingsmill’s has an old-fashioned manual elevator from 1932 with a full-time operator named Mary. 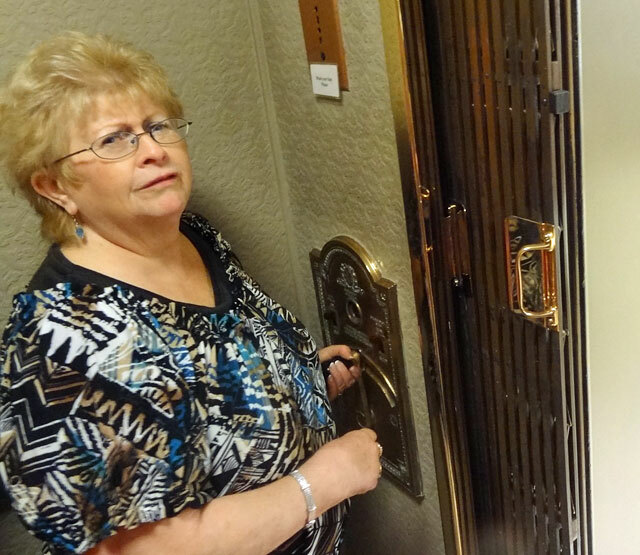 She has been the elevator operator for more than 25 years and regular guests know her well. A final highlight of the trip was dinner at Aroma, where we got to cook our own meals. It was a Top Chef competition between bloggers at the Mediterranean restaurant. I cut up the veggies while others prepped the soup and constructed the salads, complete with artsy apple fans on the top. 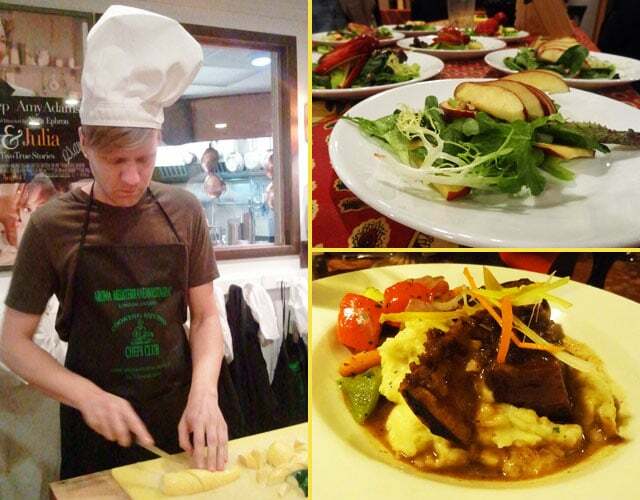 Any group can sign up for the “Cooking Studio” experience and make their own meals. The food was amazing and being part of the process was a nice bonus. UPDATE 2018: Aroma is no longer in business. You covered a lot of ground! Yup, it was a busy couple of days! That looked like a fun time! Especially the brewery and cooking. I’m a little disturbed by the elephant foot though….. Yes, the elephant foot was a little unsettling, but it was collected in the 1800s, back when people did that sort of thing for sport.